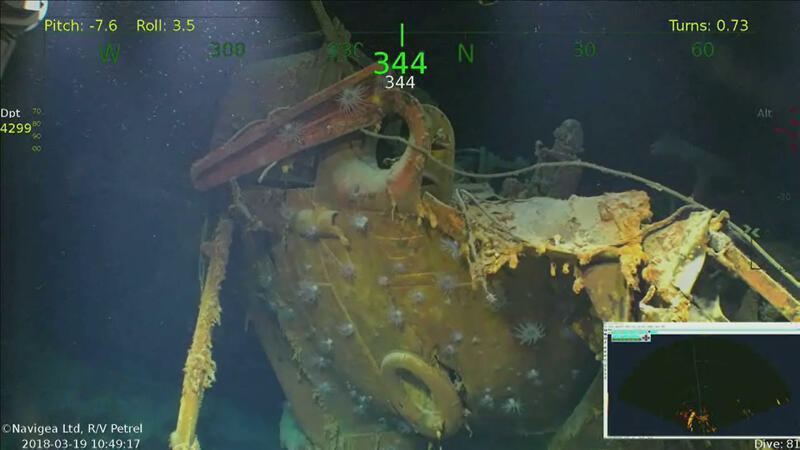 JUNEAU, Alaska -- Philanthropist and Microsoft co-founder Paul Allen has announced that wreckage of a sunken military ship on which five brothers died in World War II has been discovered in the South Pacific. A spokeswoman for Allen confirms wreckage from the USS Juneau was found Saturday off the coast of the Solomon Islands. The ship was hit by Japanese torpedoes in 1942, killing hundreds of men, including the five Sullivan brothers from Waterloo, Iowa. "We certainly didn't plan to find the Juneau on St. Patrick's Day. The variables of these searches are just too great," said Robert Kraft, director of subsea operations. "But finding the USS Juneau on Saint Patrick's Day is an unexpected coincidence that allows us to pay final respects to the Sullivan brothers and all the service members who were lost 76 years ago." Allen has an expedition team that has reported finding wreckage of other ships, including the aircraft carrier USS Lexington, which also sank during World War II. The USS Lexington was located on the seabed in waters about 2 miles deep, more than 500 miles off Australia's east coast. The expedition team says in a statement it first identified the USS Juneau on Saturday using sonar technology and used a remotely operated underwater vehicle to verify the wreckage on Sunday. President Trump's senior adviser and son-in-law Jared Kushner spoke out for the first time since the Mueller report was released. At the Time 100 Summit, Kushner downplayed Russian election interference as "a couple of Facebook ads," and said the Mueller Investigation had a harsher impact on democracy. Time magazine senior White House correspondent Brian Bennett moderated the conversation with Kushner, and joins CBSN to discuss.